Here is the live stream by Dahboo 7 with Mr A and The Watchers and a significant amount of ancillary information. A live stream discussion on Ancient Civilizations and the locations. Preparations are underway for an,"in theater", fact gathering mission and what we hope to find. The success and logistics, however, require a significant fundraising effort. (Links for funding this fact finding mission can be found in the description box of the video. Please help us if you can. We also are in great need of "locals". Any information on the four corners area topography and what I would call, "off the beaten path" access routes ", would be greatly appreciated. 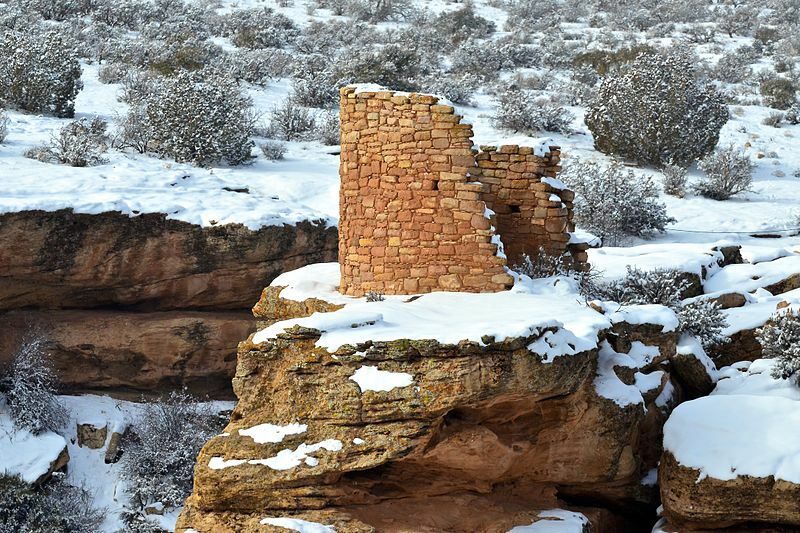 The Ancestral Puebloans were an ancient Native American culture that spanned the present-day Four Corners region of the United States, comprising southeastern Utah, northeastern Arizona, northwestern New Mexico, and southwestern Colorado. The Ancestral Puebloans are believed to have developed, at least in part, from the Oshara Tradition, who developed from the Picosa culture. They lived in a range of structures that included small family pit houses, larger structures to house clans, grand pueblos, and cliff-sited dwellings for defense. The Ancestral Puebloans possessed a complex network that stretched across the Colorado Plateau linking hundreds of communities and population centers. They held a distinct knowledge of celestial sciences that found form in their architecture. In contemporary times, the people and their archaeological culture were referred to as Anasazi for historical purposes. The Navajo, who were not their descendants, called them by this term. Reflecting historic traditions, the term was used to mean "ancient enemies"
Archaeologists continue to debate when this distinct culture emerged. The current agreement, based on terminology defined by the Pecos Classification, suggests their emergence around the 12th century BC. Pueblo, which means "village" in Spanish, was a term originating with the Spanish explorers who used it to refer to the people's particular style of dwelling. The Navajo people, who now reside in parts of former Pueblo territory, referred to the ancient people as Anaasází, an exonym meaning "ancestors of our enemies", referring to their competition with the Pueblo peoples. The Navajo now use the term in the sense of referring to "ancient people" or "ancient ones".